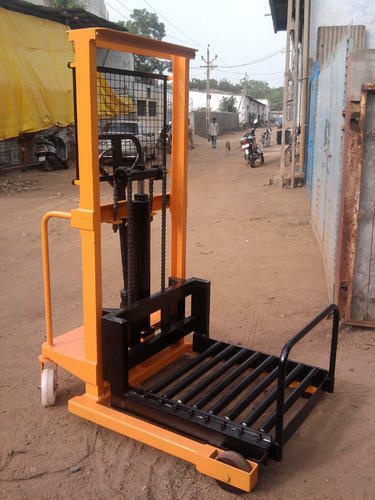 We are a leading Manufacturer of pallet stacker, manual stacker, semi battery stacker, flame proof electric stacker, hook stacker and straddle leg stacker from Ahmedabad, India. 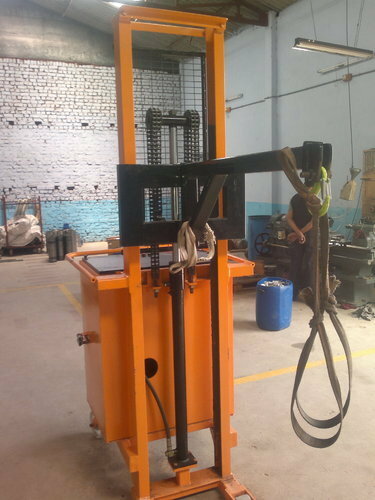 We are engaged in manufacturing Stacker which is widely used for loading and unloading various items in the industries.These machines are used to handling the materials of varying pallet sizes. 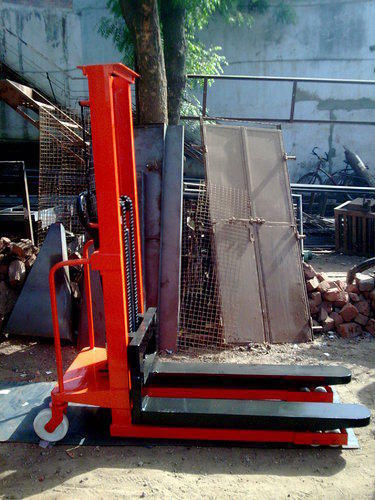 We are counted amongst well-known traders in offering wide range of Manual Stacker. Due to high demand, our professionals make this machine with highly develop technology. Moreover, our company gives maximum advantage to our patrons by offering our machine at affordable pricing, suiting their requirements. The Battery Stacker with different loading capacities and various lifting heights is built for stacking in intensive applications in stores and factories. 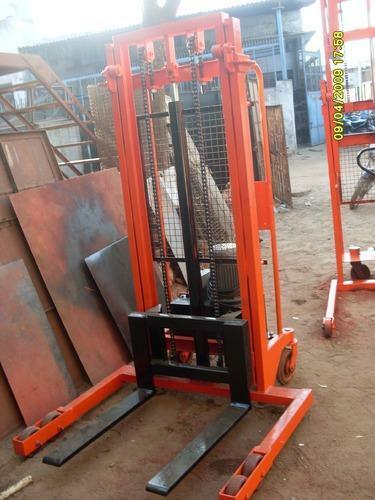 We offer Flame Proof Electric Stacker ideal for the lifting and transportation of palletized loads with various lift heights.So as to offer a qualitative product to our valuable clients, we stringently check this stacker against various quality parameters. 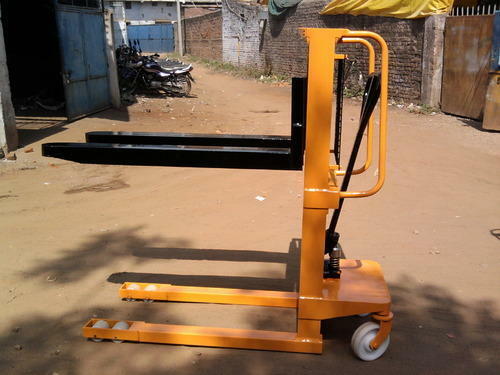 Hook Stacker offered provide for perfect support to loading and unloading job works from trucks. 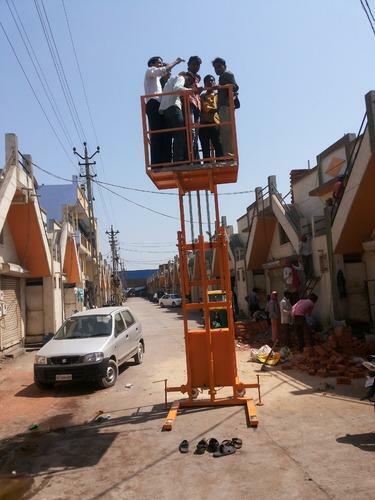 Straddle Leg Stacker offered come with provision of mono and telescopic masts. 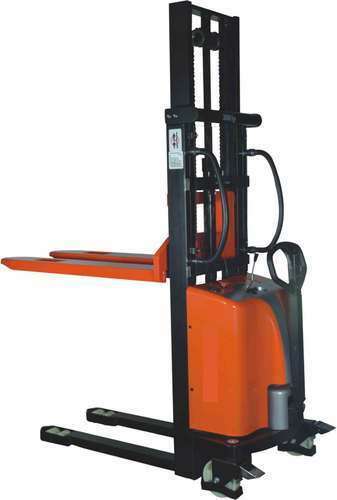 Power Stacker offered provide for economical alternative to forklift truck. 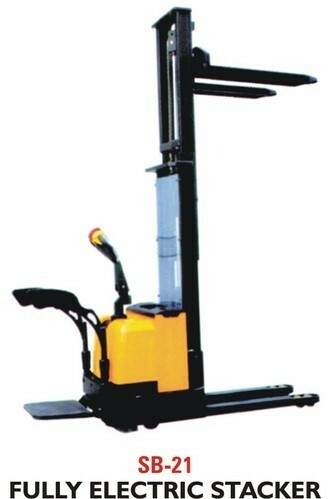 Mini Stacker offered provide for safe, precise and accurate positioning of goods. 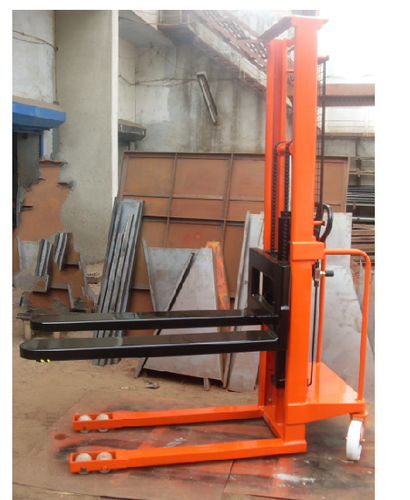 Cage Stacker offered comprise high performance manual hydraulic stackers. 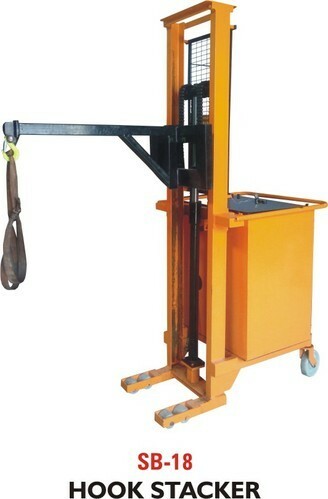 Electric Hook Stacker offered is ideal for use in various workstation and workplace applications. 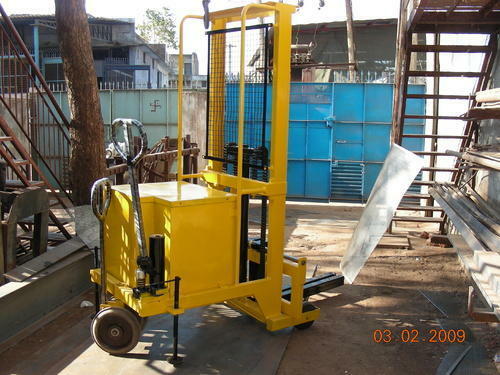 Electric Paler Reel Stacker offered provide for convenient loading and unloading support for items from raised levels. 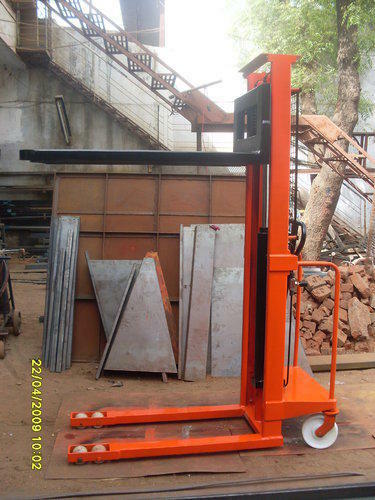 Hydraulic Electric Stacker offered come designed for easier handling of work process. Hydraulic Roller Stacker offered comprise highly mobile stackers with easy push or pull support. 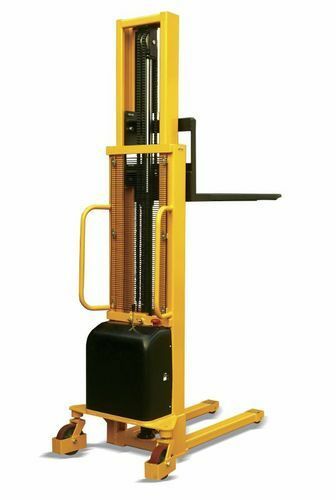 We are the leading supplier of¿¿1.5 Ton - 2 Ton Lifting Capacity Manual Stacker¿¿made available to our clients at competitive prices.